Wouldn't these adorable animal novelty buttons be perfect for your next sewing or scrapbooking project? 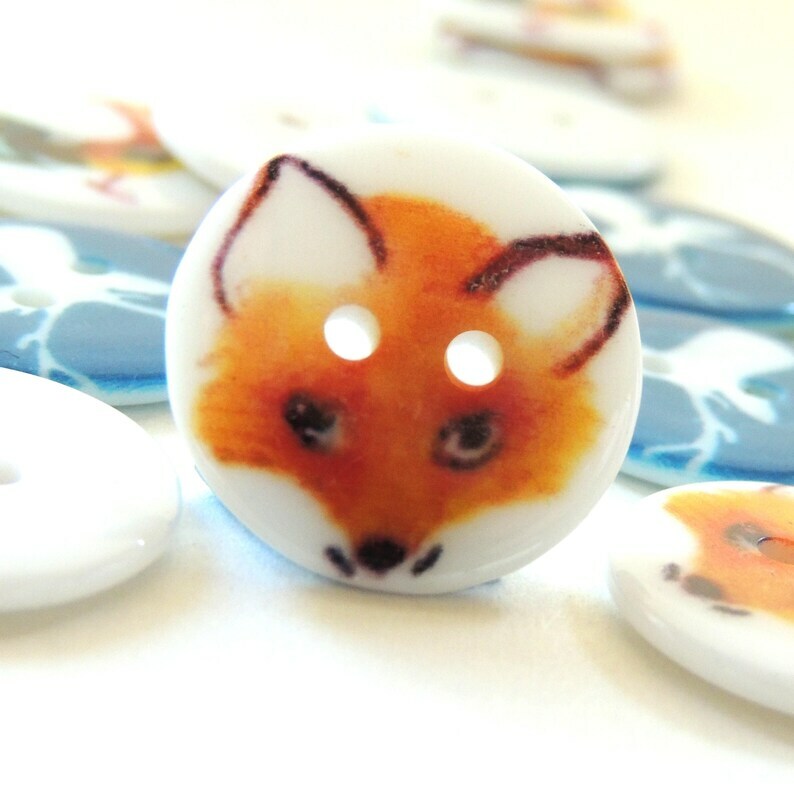 You will receive two of each animal (fox, rooster, deer, rocking horse, bird) in each order, for a total of TEN buttons per order. Each button is 20mm (3/4") in diameter. The back side of the buttons is white. Looking for a particular assortment, or a single animal? I might have that available, so send me a convo and I'll try to help! Special offer details: Spring Clearance! Time to clear out the old items and make room for new things! No other coupons may be used. Not valid for special orders or prior purchases. Free shipping details: Nobody likes to pay for shipping. How many times have you started to shop online, only to bail when you saw how much you'd have to pay to ship everything? I say enough of that! All US orders over $25 now qualify for free shipping-- forever! 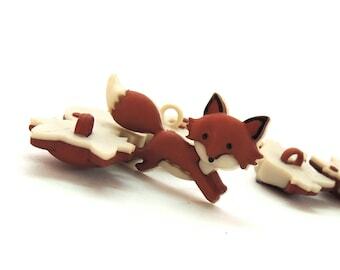 Cute fox buttons arrived well packaged.